Do you smell that? Mmm hmm, fresh school supplies . . . It’s back-to-school time! In honour of this auspicious time of year, I thought I’d welcome the Aurora Award-nominated YA author Suzi Vadori with her debut novel The Fountain to give us a little back-to-school book break. Q: Suzy, what is your favourite memory about back-to-school? A: We moved around a lot when I was a kid – Nova Scotia, Ontario, Boston, Alberta… and that was all before I was out of elementary school. So, first days really were first days and I never knew what to expect. I always loved that first day at a new school. Usually, kids were nice. Sometimes, they made fun of my accent. That was one thing I’d try to shed quickly, to fit in to wherever I was now. On the first day of school, I loved the possibilities, and trying to figure out how the social system worked. I was always trying to figure out who would still be nice to me on the second day - to find that one friend who maybe didn't already have a best friend. I made many such friends, some that I’m still close with to this day. I think that’s why I enjoy writing about kids going to new schools. It’s a topic I have lots of experience with. Now that I’m a mom – back to school is fraught with shopping, new schedules and trying to arrange car-pooling for my three kids. They’ve gone to the same school with the same friends since kindergarten. But I always make sure I ask them about new kids in their class, and I know I’d have been happy to meet any one of them! Q: What inspired you to write The Fountain? A: I’ve always loved reading boarding school novels. My favourite part is when kids get out of bed and sneak around without parents or teachers to curb their activities. Paired with a great set of teens in a boarding school setting, The Fountain’s world was born. Q: Kids and adults enjoy YA, why do you think YA has such universal appeal? Q: Can you tell us more about the series? A: Certainly! The Fountain is Book 1 of The Fountain Series. Book 2 (The West Woods) is well underway, and will be coming out in the spring of 2017. The Fountain is available in paperback and eBook. Here’s a link to give it a try! Suzy Vadori is an Operations Executive by day, Writer by night. 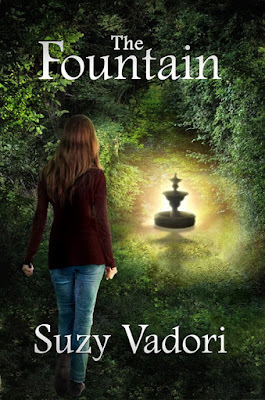 The Fountain is her debut novel for Young Adults. 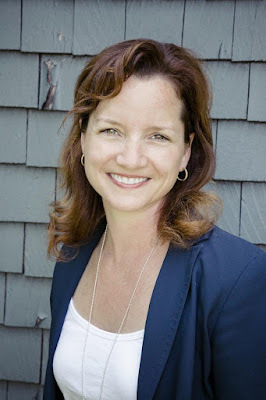 Suzy is an involved member of the Calgary Writers’ community, serving as When Words Collide (a Calgary Festival for Readers and Writers) Program Manager for Middle Grade and Young Adult since 2013. 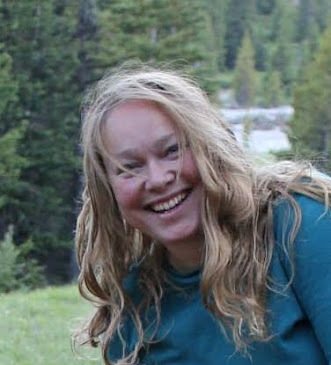 Suzy lives in Calgary, Alberta with her husband and three kids.